Note – please follow on Facebook as in January 2013 there will be a free pdf and cutting file download with full instructions on how to create this project! Today was an exciting blog day for me today as I reached the 1 million page-views AND 1500 followers mark. A HUGE thank-you to everyone who reads along and comments on my projects! 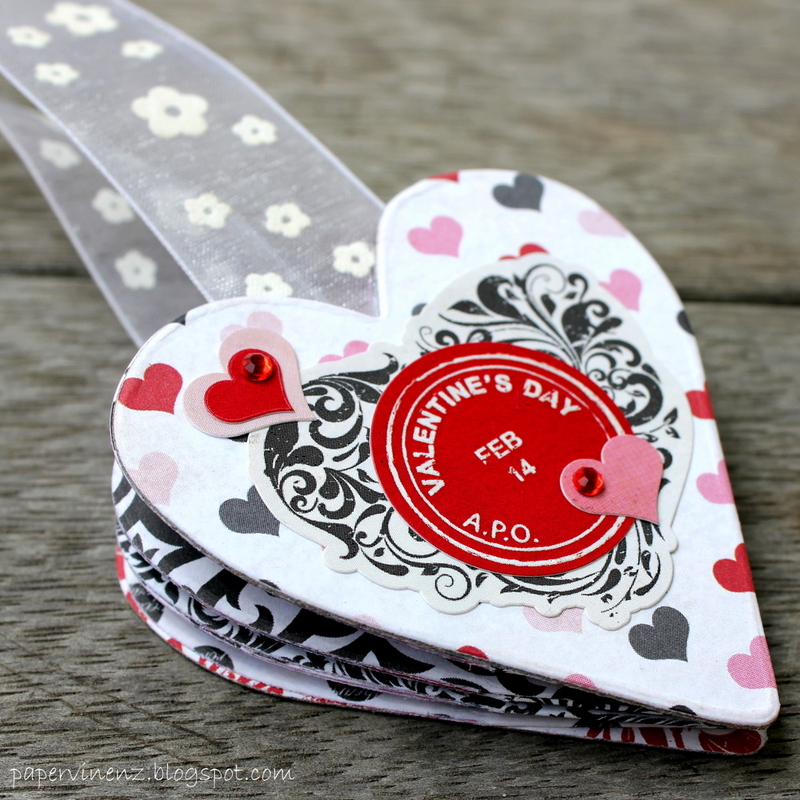 Valentine’s Day is fast approaching and I have a few more ideas to share this week. I saw this idea at the weekend and I just had to try it! 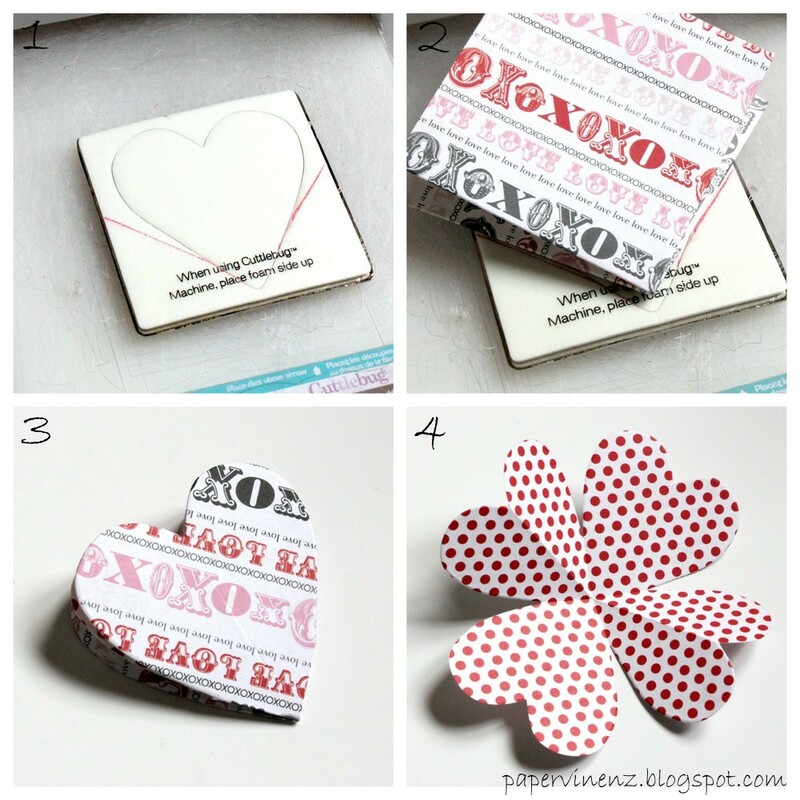 It’s a 3-D, open-up card, love message bookmark kind of thing – and it’s a really fun idea! I based it on the great tutorial shown here on the Word Up, Nerd Up blog. 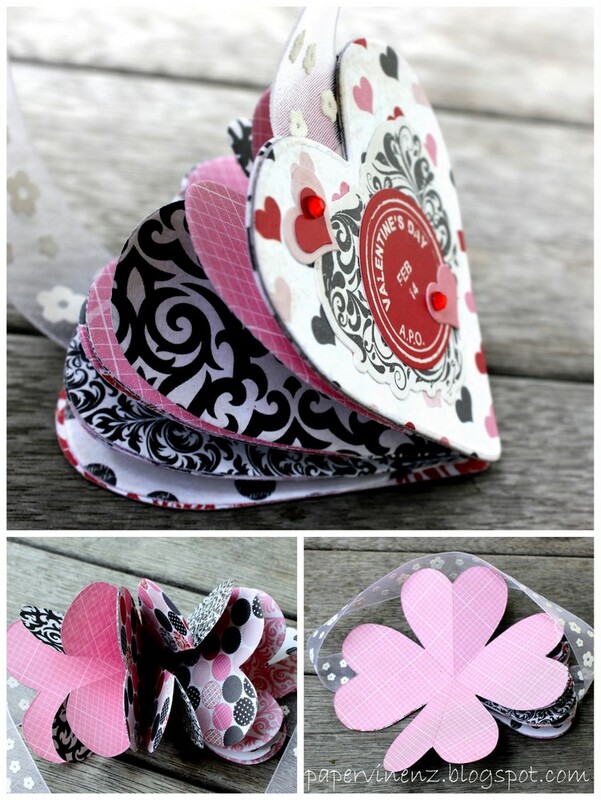 I then cut 2 complete hearts from a fourth sheet of paper to create the two covers, and then attached them to double sided adhesive chipboard for extra weight. This would make such a great bookmark, or even just a little mini-album. This old book is one of my favorite things. It was printed in 1716 and I picked it up for about $10 in an amazing old second hand bookshop when I was back in the UK! I have some Valentine’s cards (yep – cards! )ideas coming later in the week – and please post a comment with any questions. That is such an adorable project! 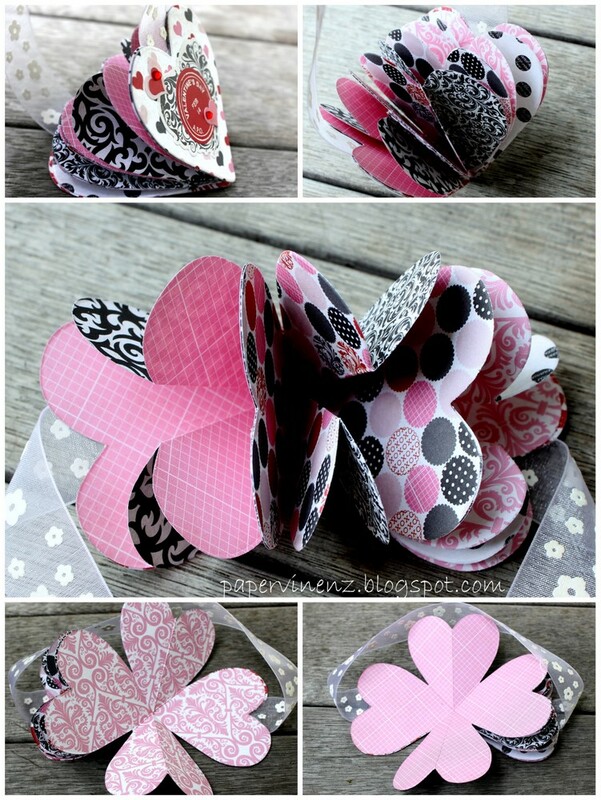 What a clever idea – and it's so easy to make! Thanks for sharing! You are amazing Lowri! I am so happy you are getting the big numbers! Your version is BEAUTIFUL…I am inspired to try again with some lush supplies! Thank-you for sharing in the first place. It's a GENIUS idea! This is absolutely stunning, I love the way it opens up! And that old book…let's just say I am going nuts over it! 🙂 I love the old distressed look! I LOVE this…the papers are gorgeous and it turned out terrific! Pinning it! Congrats on reaching such a fabulous milestone, too! Wow! Congrats on reaching two amazinnnnnnnng milestones! I LOVE these bookmarks and the papers you chose! If you have a chance please post them on my weekly linky party! Adorable! 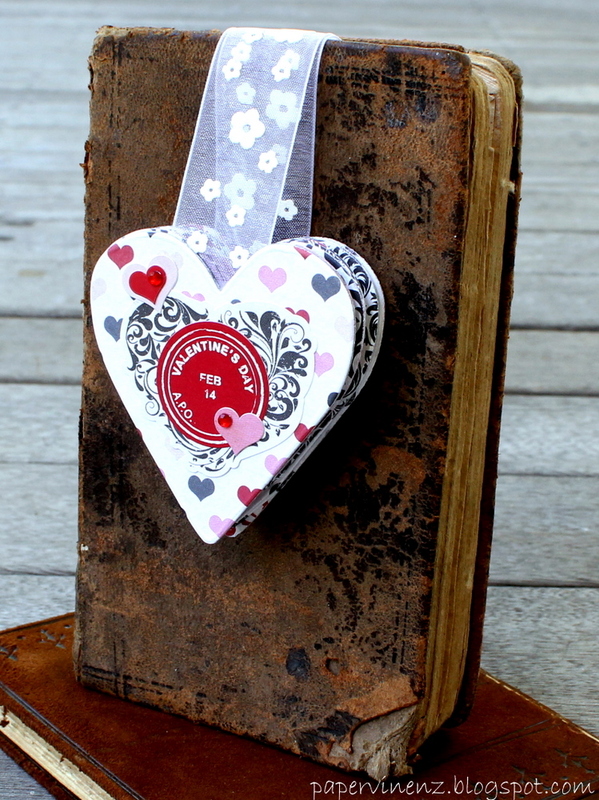 Over from Someday crafts-I did a bookmark for Valentine's Day too! This is just adorable! I just pinned it. I'd love for you to share this at my very first link party. SO CUTE!!!! And I have to tell you I am so jealous of your old old book! All I picked up in the UK was a bunch of postcards I never mailed. 🙁 Haha. Thanks for showing this bookmark off, it's adorable. That is so darling. I have to make some. It's almost 2 A.M. so it's not going to be now so I "pinned" it. In the morning…. I am in LOVE with this! Cutest thing ever! So cute! 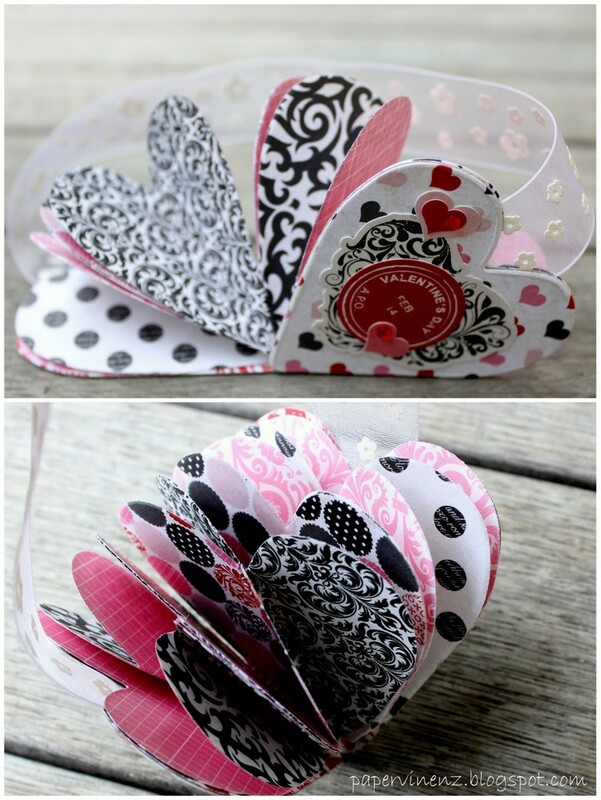 I would love for you to share it at my Valentines Party @ http://www.cheapcraftymama.com! What a cute little album! I love the idea of using it for a bookmark! Oh my, what an adorable idea! Fabulous idea! LOve the papers and the 3-d aspect!! Oh my ….this is just so darling ! TIS . TFS. …Thanks for sharing . by email and through Pinterest. Can't wait to make this little album for each of my friends for next month! You are so creative!